Yahoo! Headquarters served as the stage for a group of emerging Latino entrepreneurs on Wednesday. They were there as part of Manos Accelerators “Demo day” to pitch their startups to a panel of judges and to a roomful of tech and finance professionals. 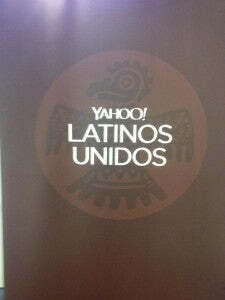 While the low representation of Latinos in Tech continues to be an issue for the industry, Wednesday’s event showed signs that people are starting to recognize that Latinos have the innovative ideas and technological skills to potentially create the next “big” startup. The “Demo Day” was organized by the Latino Unidos group at Yahoo! and by the Manos Accelerator group, a mentorship-driven accelerator program that provides “education, business resources, infrastructure, capital, and guidance for promising startup companies led by Latinos.” Manos Accelerator was founded by Ed Avila, Sylvia Flores, and David Lopez (who happens to be Jennifer Lopez’s father) in 2013 and has so far put two cohorts through its 3-month program. Many of the mentors who worked with the second cohort were in the audience, and, as Ed Avila told the crowd, “Much of what you will see here today is a product of mentoring and coaching.” Drawing inspiration from personal experiences seemed to be the common theme shared by all of the “Demo Day” pitches. The day got underway with CoupleCare, a company from Chihuahua, Mexico that helps couples who want to conceive with an app that tracks a woman’s fertility cycle. The pitch started with a personal anecdote about what the CoupleCare founders discovered after moving to the states. They noticed that while couples in Mexico were concerned with preventing pregnancy, here a large number of couples were spending “time and money on starting a family,” which is a typical situation in industrialized nations. They used this insight as the basis for creating an app platform for couples and not just for women. The second company to pitch was Cuestiona.me, which was founded by two seasoned entrepreneurs from Venezuela. While living in their country, the founders observed how difficult it was for citizens of Venezuela to communicate their questions to influential leaders in government and business. Recognizing that eliciting a response “from people of influence” is a problem that many people face around the world, they designed a platform that would allow users to pose their question and have other users vote for their questions. The Cuestiona.me founder explained to the audience how it worked: “You create a question, you share it, you find votes and then the leader sees it.” The founder and CEO of FashionTEQ, who was the only woman pitching that evening, was frank about how her personal experience inspired her to create wearable technology, stating, “I started fashion tech because I am an engineer and I am living in a woman’s world.” She gave us a glimpse of her company’s newest product Zazzi, a pendant-like device that can be attached to necklaces, rings and bracelets, which provides notifications/vibrations when a special someone calls and keeps women discretely connected to their smartphones. Not wanting to compromise beauty over functionality, she has partnered up with Swarovski for the next line of Zazzi. A hunt for tacos during an ordinary lunch break was the inspiration for saySquare, a startup from Honduras that allows small businesses in developing countries to process financial transactions through a mobile payment platform. The idea for the startup germinated when one of the founders failed to buy his lunch because the local taqueria in Honduras did not accept credit cards. He described the event as “lose-lose situation” because, as he joked, “the small business lost a sale, and I had lost my lunch.” This situation is all too common in developing countries, he said, simply because “they don’t have a way of processing payments.” For that reason, saySquare sees all of Latin America and the rest of the developing world as a potential market for their platform. The last startup to pitch was Audive, a company that provides hobbyist musicians with the opportunity to collaborate and record with other hobbyists across the world. The experience of being a music lover and an immigrant in a new country had indirectly influenced the idea for Audive. As one of the founders explained, he had grown up playing guitar and “jamming” with his brother almost every week. However, once he moved to the U.S.A it was difficult for him to continue with this weekly ritual. He and his team decided to develop Audive so that music hobbyists can engage in real-time collaboration even if the users are geographically far apart from each other. 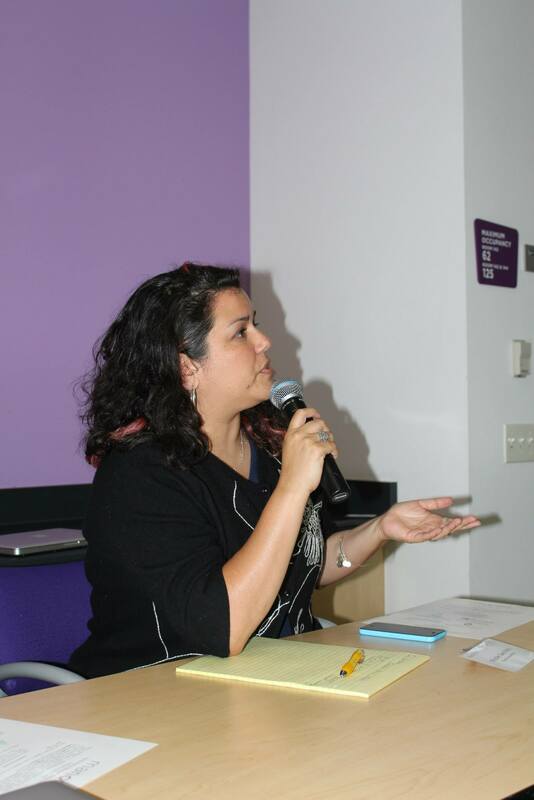 Sitting at the judges’ table were Roberto Ortiz, Director of Mobile Design at Yahoo!, Nicole Sanchez, the CEO and founder of Vaya Consulting, Rodrigo T. Garcia, founder of SHPE (Society of Hispanic Professional Engineers), and Sergio Monsalve, a partner from Norwest Ventures Partners. The distinguished panel of judges did not offer scorecards or prizes. Instead, they offered something much more valuable for entrepreneurs starting a company: feedback. 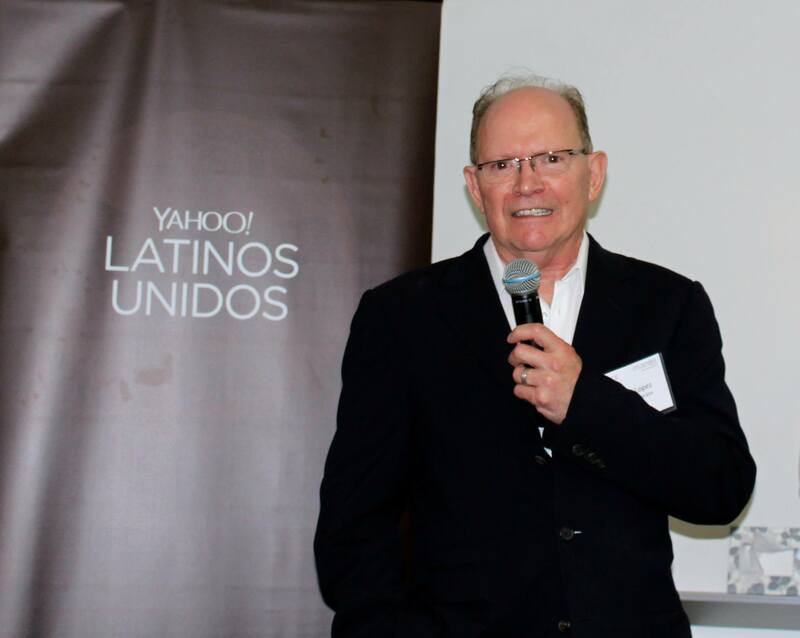 While Ortiz was “looking for that magic user experience,” Sanchez was interested in hearing if the company had identified a problem that was experienced by enough people such “that it warrants a solution.” SVL looks forward to following the progress of these startups and we will keep you posted on the next Latinos in tech event.